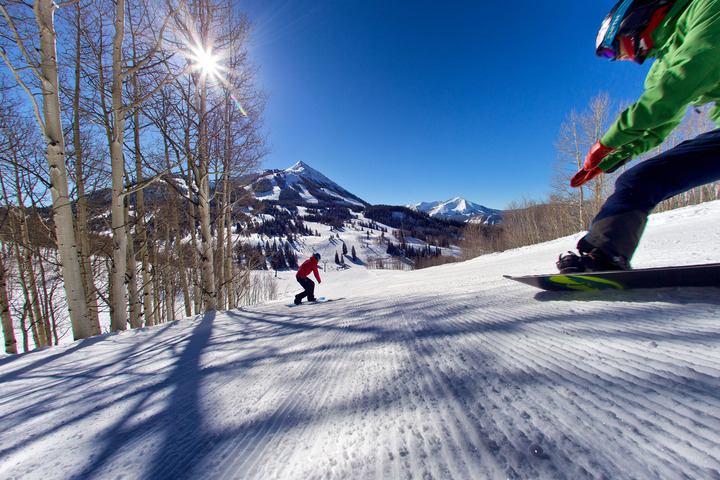 Plus, convenient accommodations, a location amid some of southwest Colorado’s most breathtaking alpine landscapes and a roster of activities for all types of interests — from fat biking to romantic sleigh ride dinners — make Crested Butte Mountain Resort one of the West’s greatest winter destinations. Here’s how to make the most of your trip. Embrace your inner ski bum. 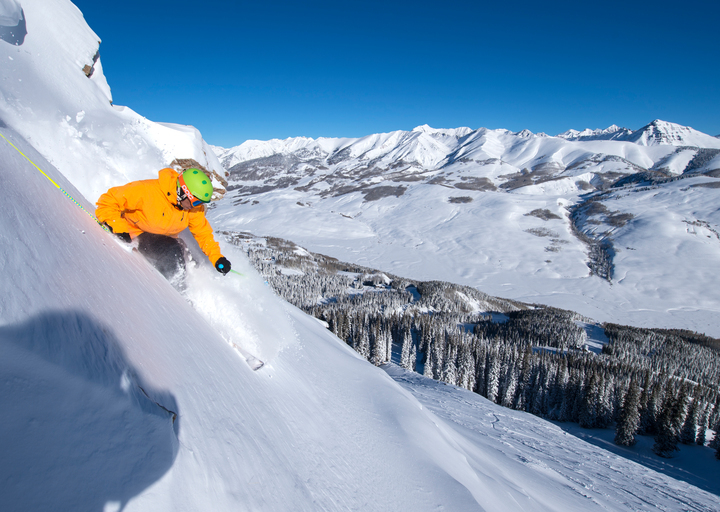 Whether you’re hankering to power down daredevil chutes and glades, cruise wide-open green and blue trails or carve tracks on pristine in-bounds extreme terrain, Crested Butte Mountain Resort has it all. 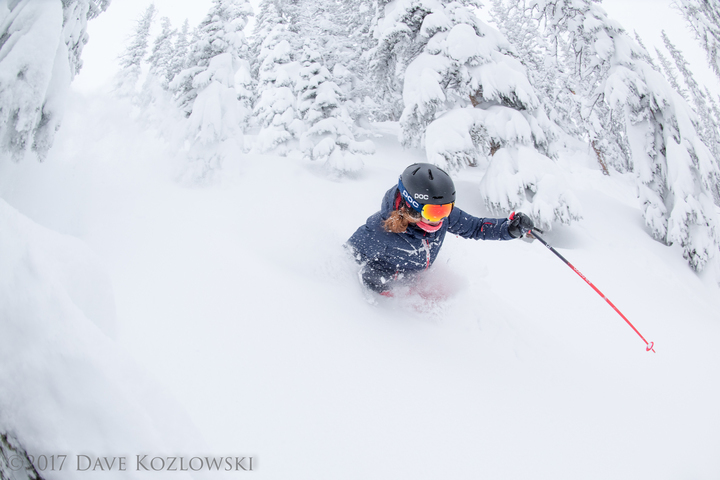 Fifteen lifts service Crested Butte Mountain Resort’s 2,775 vertical feet of powdery perfection — featuring 121 trails ranging from beginner to expert. Meanwhile, an assortment of uphill routes are available to those who prefer to earn their turns (hike up the mountain, then ski back down) and five terrain parks supply unlimited thrills for freestyle riders of all abilities. Experience much more beyond the mountain. 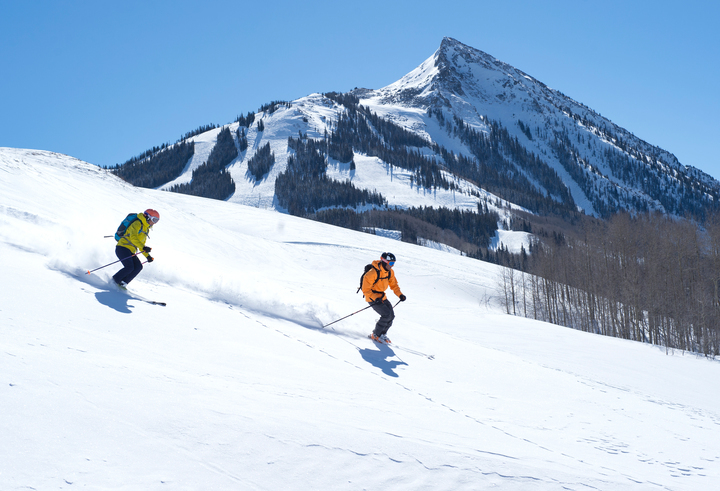 Filling time between runs is easy with Crested Butte Mountain Resort’s extensive list of activities. 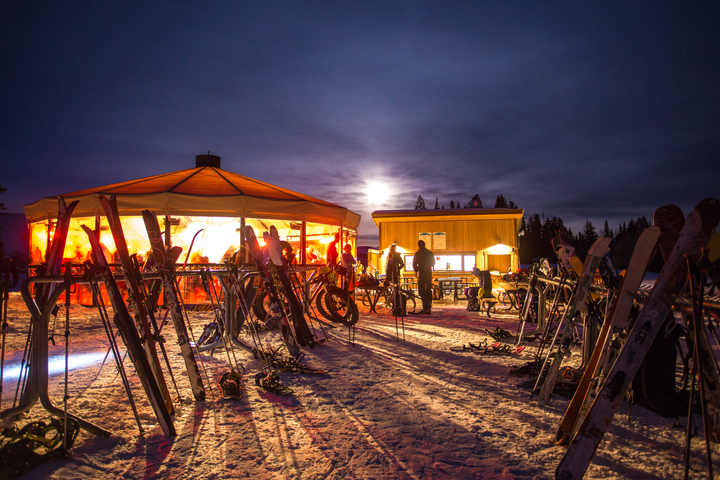 Embark on a self-guided skin or snowshoe tour to the Umbrella Bar at Ten Peaks for a moonlit dinner (available on select dates), book a Winter Zipline Tour or cross-country ski through sprawling valleys and snow-dusted Aspen and pine forests on Crested Butte Nordic’s 55 kilometers of trails. Other possibilities include fat biking, snowmobiling, winter horseback rides and free guided mountain tours. For an extra-special experience, opt for a Uley’s Cabin Sleigh Ride dinner, where guests take a snowcat-driven sleigh to the warmly lit cabin in the woods and indulge in a delicious five course prix fixe dinner. 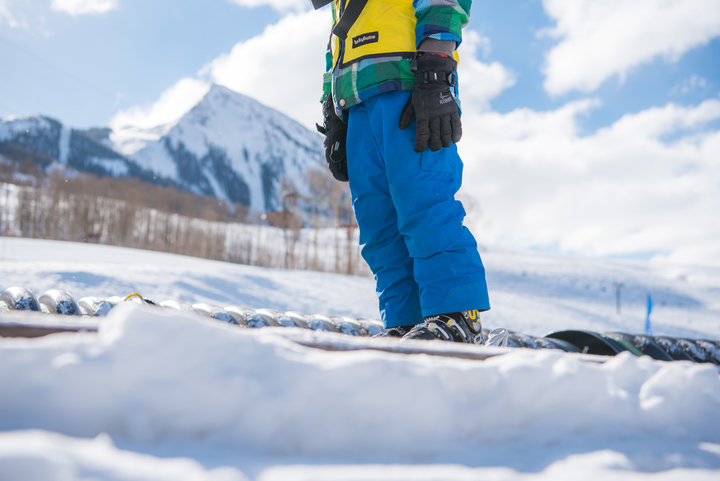 Camp CB offers awesome lessons tailored to specific age groups to help pint-size powder enthusiasts develop all of the skills they need to thrive on the mountain — making Crested Butte the perfect Colorado ski resort for families. 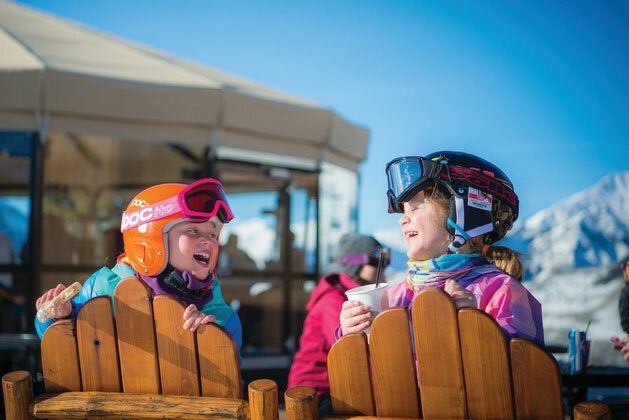 Even better, kids ages 6 and under ski for free all season at the resort. The Winter Adventure Park in the base area, which boasts miniature golf, a bungee trampoline and a 28-foot climbing wall, also keeps little ones entertained for hours. If you’re craving a date night, sign the kiddos up for Kids’ Night Out and leave them under the care of experienced fun-loving kids’ instructors for a visit to the Adventure Park, dinner and games while you head out for an evening on the town. Choose from a bounty of onsite lodging options. From coveted ski-in/ski-out condos and cozy hotel rooms to villas with stunning Mt. 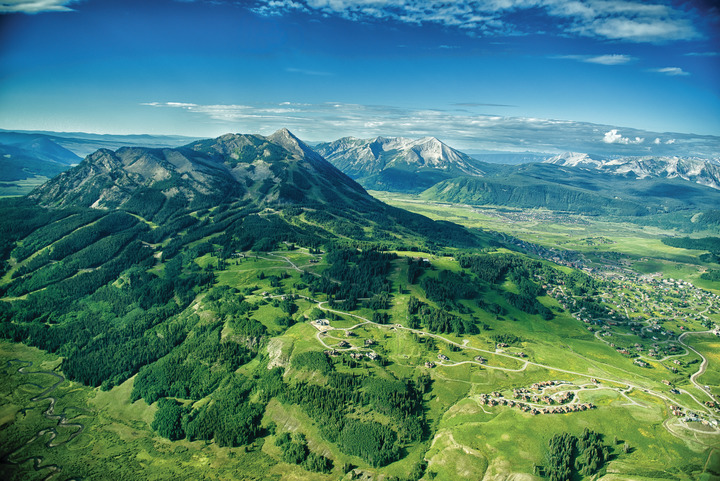 Crested Butte views, Crested Butte Mountain Resort’s diverse accommodations cater to groups of all sizes. Groups and families love The Plaza’s spacious two- to three-bedroom condos — which are located just 179 steps from the lifts — while guests at the Grand Lodge can take advantage of a great base area location and the best pool and hot tub on the mountain. The Lodge at Mountaineer Square offers guests sweet perks like a ski valet, underground parking, indoor/outdoor pool and fitness center. Eat and drink like a local. 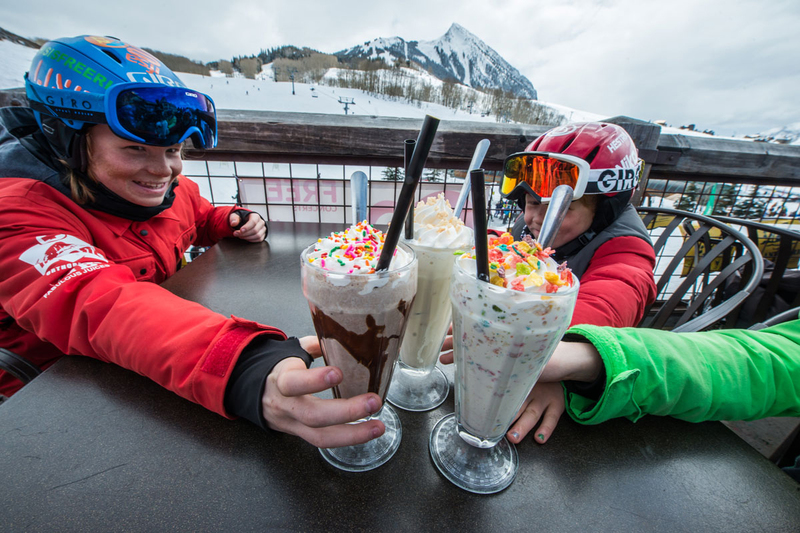 Visitors don’t have trouble satisfying their cravings in Crested Butte’s thriving culinary scene. Favorite eateries include the on-mountain Umbrella Bar at Ten Peaks, featuring a menu of refreshing cocktails, brews and casual fare (try the cheese fondue), and slopeside Butte 66 Roadhouse & Grille, a great locale for après-ski drinks and barbecue. Recap the day’s most epic runs with friends at the Secret Stash, a locals-approved pizza joint known for its creative pies, treat yourself to a Colorado buffalo ribeye at Elk Ave Prime or taste the lauded gyros and fries at Pitas in Paradise — the possibilities are endless. 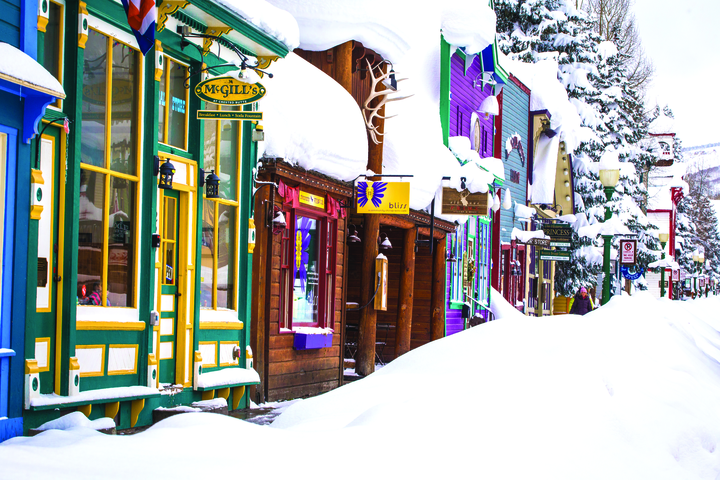 Thinking about a trip to Crested Butte in the summer? Photo credits: Umbrella Bar at Ten Peaks, CBMR; Downtown Crested Butte, CBMR; Skiing at Crested Butte Mountain Resort, CBMR/Dave Kozlowski; Skiing in Crested Butte, Colorado, CBMR/Tom Stillo/Jay Prentiss; Kid-pleasing fun at Crested Butte Mountain Resort, CBMR/Trent Bona; Snowboarding at Crested Butte Mountain Resort, CBMR/Nathan Bilow; Epic powder in Crested Butte, CBMR/Tom Stillo/Jay Prentiss; Family activities at Crested Butte Mountain Resort, CBMR/Trent Bona; Winter at Crested Butte Mountain Resort, CBMR/Trent Bona; Summer in Crested Butte, CBMR/Dave Kozlowski.